You are told by your local VA medical facility that you will need to wait more than 30 days for an appointment. You residence is more than a 40 mile driving distance from the closest VA medical facility with a full time primary care physician. You need to travel by air, boat, or ferry to the VA medical facility closet to your house. You face an unusual or excessive burden in traveling to the closest VA medical facility based on a geographic challenge, environmental factor, medical condition, or other specific clinical decisions. Staff at your local VA medical facility will work with you to determine if you are eligible for any of these reasons. You reside in a State or a United States Territory without a full-service VA medical facility that provides hospital care, emergency services and surgical care, and reside more than 20 miles from such a VA medical facility. Note: This criterion applies to Veterans residing in Alaska, Hawaii, New Hampshire, Guam, American Samoa, Commonwealth of the Northern Mariana Islands, and the U.S. Virgin Islands. Also note that some Veterans in New Hampshire reside within 20 miles of White River Junction VAMC and are therefore not eligible for the Veterans Choice Program. 2. What if I think I am eligible? Call the VCP Call Center at 866-606-8198 or visit the Veterans Choice Program website to verify eligibility and set up an appointment here. 3. Can I call my non-VA doctor to make an appointment? No, please call the VCP call center at 866-606-8198 to verify eligibility and set up an appointment. 4. How is the 40 mile calculation determined? This calculation is based on the driving distance from your permanent residence (or active temporary address) to the closest VA facility, including Community-Based Outpatient Clinics and VA Medical Centers. 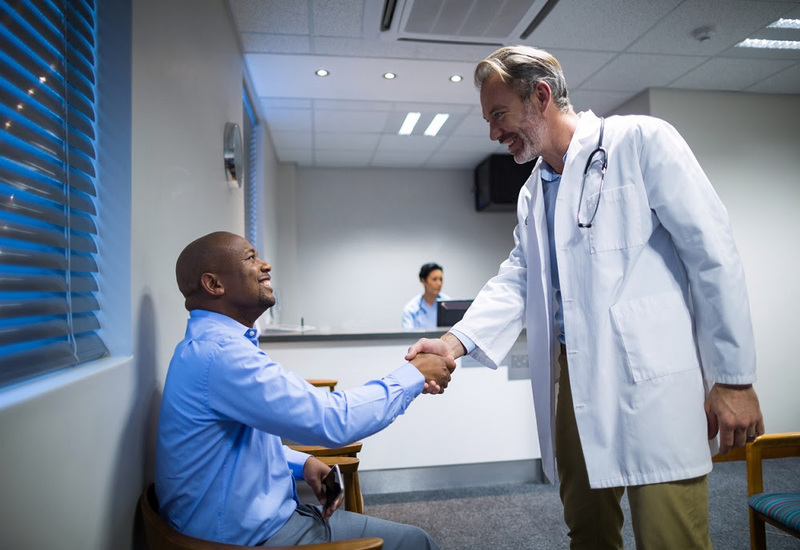 You are eligible if you live more than 40 miles driving distance from the closest medical facility that has a full-time primary care physician. 5. If I am eligible for the Veterans Choice Program, can I receive Beneficiary Travel for travel to appointments with a VCP provider? Yes, the Choice Act does provide funding to pay for travel to VCP providers for Veterans who are eligible for Beneficiary Travel. However, it did not provide any new Beneficiary Travel eligibility. You do not need your Choice Card to access the VCP. If you didn’t receive a Choice Card or lost your Choice Card, simply call 866-606-8198 to find out if you are eligible and to make an appointment. The community provider you see through the VCP can issue a prescription for up to a 14 day supply of a national formulary drug. You may have the 14 day supply filled at any non-VA pharmacy of your choosing. Prescriptions can be reimbursed through the Business Office/Non-VA Care Coordination Office at VA facilities. This reimbursement may take 30-45 days to process, and requires a copy of the prescription and the original receipt. Veterans cannot be reimbursed at the VA Pharmacy. For prescriptions needed past 14 days, please follow standard procedures to fill a prescription at the VA pharmacy. No, not at all. You do not have to choose between the two. The VCP is here to make it easier to access the care you need. VA is building a high-performing integrated health care network to deliver the best of VA and the community. This integrated network will give Veterans more choices to access care and ensure care is delivered where and when you need it. 9. What is my responsibility for co-payments to my other insurance? Nothing. VA is now the primary coordinator of benefits for VCP, so you are only responsible for your VA copayment. Your VA copayment will be determined by VA after the care is provided. VA copayments will be billed by VA after the appointment. Public Law 115-26, enacted April 19, 2017, made three key changes to help improve the VCP. The law removed the expiration date for the program, made VA primary coordinator of benefits for services provided to you, and it removed barriers with sharing necessary health information with community providers. Please refer to the Veterans Choice Program website for more information about the program, its benefits, and eligibility criteria here. Providers interested in participating must establish a contract with one of the contractors, Health Net Federal, or TriWest Healthcare Alliance. For more information, about how to participate please visit Veterans Choice Program website for providers. Dr. Eduardo Gerding & Eduardo A. Kesting(WebMaster). Powered by Blogger.